A correspondent wrote in to tell me about a wonderful web-site, called People’s Archive. Their idea is to do in-depth interviews at a peer-to-peer level with the great thinkers and creators of our time. They’ve been doing this for a few years, only recently providing open access to much of the content on their site. The two interviews of people closest to my interests are ones of Sir Michael Atiyah and Murray Gell-Mann. The interviews are very long, several hours. So far I’ve made my way through the Atiyah interview (which is in 93 pieces), mostly just reading the transcript, and have poked around a bit in the Gell-Mann interview (which is in 200 pieces). Atiyah is on just about every mathematician’s list as one of the very few greatest figures in the second half of the twentieth century. He’s also had a major impact on the relation of mathematics and physics. The interview essentially provides a long memoir of his life, concentrating on his mathematical research work, explaining in detail how it came about and how it evolved. It’s truly wonderful, with all sorts of interesting stories, together with insights into mathematics and how it is done at the highest level. The interview begins with his childhood in Khartoum, then discussing his later education in England, ending up at Cambridge where he was a student of Hodge. One story he tells (segment 21) is about Andre Weil’s reaction when Atiyah showed him his work at the time he was a student. The segment is called “how not to encourage somebody.” Atiyah also later on talks about his mathematical heroes, especially Hermann Weyl. Physicists often confuse Weil and Weyl, who were two rather different characters. They both did important work on representation theory with Weyl responsible for, among many other things, the representation theory of compact Lie groups, and the exponentiated form of the Heisenberg commutation relations (what mathematicians call the Heisenberg group). Weil was responsible for the geometric construction of representations of compact Lie groups (Borel-Weil theory), and a general theory of representations of Heisenberg-like groups (known as the Segal-Shale-Weil, or metaplectic representation). Atiyah tells about the importance of his years spent at the IAS in the fifties and the people that he met there. It was one of the great meccas of mathematics at the time. He tells in detail the story of how the index theorem came about (segment 43), and the crucial role provided by the Dirac operator in linking together the analysis and the topology. The Dirac operator was rediscovered by him and Singer during their work. He also explains the important role from the beginning of equivariant versions of the theorem, in providing motivating examples and requiring the most general and deepest sort of proof. During the 1970s Atiyah started to get deeply involved in interactions with physicists, and he recalls going to MIT to discuss instantons with them, meeting a young Edward Witten in Roman Jackiw’s office there (segment 67). He describes in detail his interactions with Witten, especially his prodding of Witten that led to the discovery of the TQFT for Donaldson theory (segment 71), something that took Witten quite a lot of effort before he came up with the necessary twisting of supersymmetry to make this work. He also tells the story of the famous dinner at Annie’s in Swansea where, in discussions with Atiyah and Segal, Witten came up with his Chern-Simons theory. The idea was so compellingly correct that Witten decided the next day to not give the talk he had planned, but to talk about this new theory born only the night before. In his comments on the future (segment 74), Atiyah refers to the new ideas brought into mathematics from QFT as “high energy mathematics”, and predicts that mathematics in the future will make crucial use of the sort of “infinities of infinities” that occur in QFT structures, but that mathematicians until recently have had no real idea how to approach. He also makes some interesting comments about what sort of problems it is best for graduate students to work on, and gives (segment 90) a wonderful description of the importance of beauty in mathematics and his own definition of it. All in all, it makes fantastic reading, I hope the company that put this together will clean up the transcripts and put them out in book form. I haven’t had the time to go through all of the Gell-Mann interview, but it also contains all sorts of valuable history. One little-known fact that Gell-Mann mentions is that the SU(3) eight-fold way that he got the Nobel prize for came about because, after he had spent a long time trying to generalize SU(2)xU(1) unsuccessfully, a mathematics assistant professor (Richard Block) finally explained to him that what he was doing was trying to find a certain kind of Lie algebra, and the one he was looking for was the Lie algebra of SU(3). You seem to be stuck in the 80’s 😉 No physicist confuses Weil and Weyl any more. Seriously, thanks for the valuable link. What I learnt from Viki was mainly an attitude which I’ve described in a paper that I presented in his honour called ‘The Garden of Live Flowers’. He kept insisting on a pedestrian approach. Now, a pedestrian approach is not my approach. I like clean mathematical results and elegant demonstrations and so on and so on and so on. But nevertheless that was part of Viki’s style that I was able to benefit from, and that was a sort of unpretentiousness: the idea that you shouldn’t try to construct right away, ab initio, the ultimate theory of things. Given how fundamental physics has evolved in the last two decades there is a complicated irony in this reminiscence. By the way, has Gell-Mann had anything to say about string theory in the last few years? What a wonderful resource! I got to learn things about my old graduate advisor that I aways wondered about but was too timid to ask. Thanks for sharing! has Murray give countless insights not only about theory but other theorists. One example: at UCLA 30 years ago it was clear to me something had occurred between him and Schwinger who avoided Murray’s ideas, a difficult task. See segment 106. I’m a big worshipper of Schwinger, in particular his measurement algebra which dates to the late 50s. In fact, I started a website devoted to this, http://www.MeasurementAlgebra.com. I have to admit I didn’t like hearing Gell-Mann accuse Schwinger of making an error in stealing someone else’s work, for the sake of elegance. There is no question that physics at the present time is in a certain amount of trouble. Did we get into trouble by excessive attention to elegance? Or was it failure to attend to the foundations of physics? In this, I think that Schwinger was right. It is the foundations of QM that were shaky. But the Gell-Mann interview also reminds me of that physics is as much as social science as anything humans do. It is not that “physics” is in trouble, it is that the physicists have made no progress. Does repeating unpleasant truths (or lies) about personages who were slightly off the beaten path 50 years ago help advance physics? When I get lost while driving, the way I get to where I want to go is to go back along the way I came, and look for a place where a mistake was made. In ignoring the complaints about the foundations of physics from the 1920s through 1950s, the string theorists are making the unwarranted assumption that the foundation they build upon is solid. It is in this that I think that Schwinger’s best efforts were made, in pointing out the problems. Rather like Bohm. I was quite thrilled to read what Gell-Mann had to say about the Abdus Salam/John Ward collaboration. I’ve never understood why Salam got the Nobel prize for electroweak interactions without Ward, given that they did the work jointly (the paper often cited as Salam’s contribution to electroweak unification is a conference report on his joint work with Ward). I was very happy to read that Gell-Mann is of the same opinion. Incidentally, does anyone know what became of John Ward? There is no question that physics at the present time is in a certain amount of trouble. Hmm, I don’t see this as true at all. Maybe your area of physics is doing poorly, but I see the discipline overall as doing quite well. Gell-Mann has such a low opinion of Schwinger. The People’s Archive interview with Freeman Dyson (number 78) discusses Dyson’s work on QED showing the equivalence of the Feynman and Schwinger approaches. Dyson wanted to show Oppenheimer and the Princeton IAS the QED success. Oppenheimer’s reaction reminds me of the attitude of the superstring establishment. “… This is of course a common situation; that the people who have failed to clean up a subject then don’t believe that it can be cleaned up … And then if somebody comes along and says, “Look, it works,” they don’t believe. “finally Uhlenbeck interceded with Oppenheimer … “Let’s listen to Dyson,” and so Oppenheimer put on a seminar series for me …”. The “radical proposals” of Born, Heisenberg, and Schroedinger remind me of superstring theory. Sadly, it seems that today there is no Uhlenbeck who will listen to alternatives that work. See http://www.opticsjournal.com/ward.html , but that doesn’t mention that John Ward had an argument in the 80s with Prime Minister Margaret Thatcher over Lord Penney and the design of Britain’s H-bomb. After he had discovered the Ward identity, he got a job at Aldermaston circa 1955 and was set the task of designing a H-bomb (Britain had already tested the fission bomb). According to the book ‘Britain and the H-bomb’ (by the official British nuclear historian Lorna Arnold), she interviewed Ward over the issue and he drew the blueprint for her that he had done for Penney in 1955. Penney chucked out Ward’s design and went ahead with his own ideas which did poorly when tested in 1957. Ward quit in anger. However, Arnold says the blueprint Ward suggested was not exactly brilliant either, and he had done no supporting calculations to show it would work. After the basic Teller-Ulam design was declassified in the 80s, Ward wrote to Britain’s Prime Minister Thatcher claiming he had come up with the same design, but it had been suppressed by Penney, who got a lot of credit for ideas which did not always go off with a perfect bang. It created a bit of a scandal. Where is a Dyson with alternatives that work? FWIW Uhlenbeck didn’t adapt well to the post-WW2 “big science” expt particle physics. He also didn’t always listen to the new voices in the field of stat mech. Tony – funny we should latch onto the same quote exactly! The entire Dyson interview reveals a fearless and honest thinker and is just downright inspiring. sunderpeeche said “… Where is a Dyson with alternatives that work? …”. despite which I am blacklisted by the Cornell arXiv and either ignored or ridiculed when I have offered to describe my model at seminars (ignored by Perimeter/Smolin and ridiculed by Harvard/Motl). Anyone who wishes to discuss Tony’s work, please contact him privately, this is far off the topic here. These interviews have a wealth of interesting material, but are very long, so it’s time-consuming to read them all. Thanks to all for pointing out those sections that are striking in one way or another. The era outlined by Atiyah at “Swansea” was really interesting, specifically as I was there. I do recall a number of Post-Grads were having a lot of problems with the talks, and there was a Grad revolt at hand. It’s quite ironic that Witten felt that the re-arranged conference (I believe it was supposed to be held at a higher University rather than Swansea), was failing fast, and out of the dissent, Witten came up with his “revolutionary” insight! Maybe Witten guessed the road ahead was peppered with “loopholes” and, as he was the conference’s major Mathe-magician, produced a String/M-Theory “Miracle” ? Thanks again for the really interesting thread. He gave the first precise definition of a 2-dimensional manifold, in his 1913 book The Idea of a Riemann Surface. He introduced the term “gauge invariance” in his 1918 paper trying to unify general relativity with electromagnetism. A footnote to this paper by Einstein explained why this theory would not work – but later, after changing the group R to U(1), people realized that his treatment of electromagnetism as a gauge theory was very profitable. His book Space, Time and Matter is a profound analysis of the basic concepts of physics. This book is the first place the modern definition of vector space was ever written down! It contains an excellent classification of tensors, tensor densities, and pseudo tensor densities, based on the representation theory of GL(n). If everyone read this, there would be far fewer arguments about various kinds of tensor-like thingies. Weyl was largely responsible for introducing group representation theory into quantum mechanics, in his book Group Theory and Quantum Mechanics. His book Symmetry is a gem of science popularization that anyone can read – a study of symmetry in mathematics, physics, art, and nature. He also did a lot of other work on Lie theory. He invented the Weyl character formula in Lie group representation theory. He also invented the Weyl relations: the exponentiated form of Heisenberg’s canonical commutation relations, which you need for rigorous work on this subject. Andre Weil was a number theorist, a draft dodger who was caught and jailed, and a member of Bourbaki. He shared an interest in philosophy with his more famous sister – Simone Weil. He carried the analogy between number fields and function fields further than it had ever gone before, revealing that number theory is a branch of geometry. He came up with the Weil conjectures, which eventually led Grothendieck to etale cohomology. And he invented adeles – roughly the number-theoretic analogue of formal power series. He did a lot more, but I’m getting tired…. One little-known fact that Gell-Mann mentions is that the SU(3) eight-fold way that he got the Nobel prize for came about because, after he had spent a long time trying to generalize SU(2)xU(1) unsuccessfully, a mathematics assistant professor (Richard Block) finally explained to him that what he was doing was trying to find a certain kind of Lie algebra, and the one he was looking for was the Lie algebra of SU(3). Richard Block is now a professor emeritus at my school, UC Riverside. He’s an expert on Lie algebras over finite fields. He has a great house up in the hills overlooking the campus, and spends a lot of time gardening. He occasionally asks me questions about operads. Did he get the central extension right? It’s only an accident of 4d that the U(1) theory works – the electromagnetic scalar is already of the correct weight (in the sense of Weyl’s geometry) and can live by itself in a gauge invariant Lagrangian, so that the essentially Weylian aspect of the geometry can be ignored and the geometry regarded as an external field living on Riemannian geometry. In other dimensions the volume element needed to construct gauge invariant integrals has weight other than 2, and this self-standing aspect of the electromagnetic scalar is lost. where dm is the Riemannian expression for the c.d. and N is the weight of whatever D is going to operate on. In other words, the conformal weight of spinors has to be imaginary. Gell-Mann rudely critized antropic principle in his book the Quark and the Jaguar. I suspect that he maintains his views in the current Landscape trouble and the rest of nonsense. Gell-Mann, as Glashow, also openly critizes the popular statement that string theory (or M-theory) is a TOE. used to keep posted by his office door. If you don’t bother with the central extension, you just get the Witt algebra instead of the Virasoro algebra, and that’s nothing special. 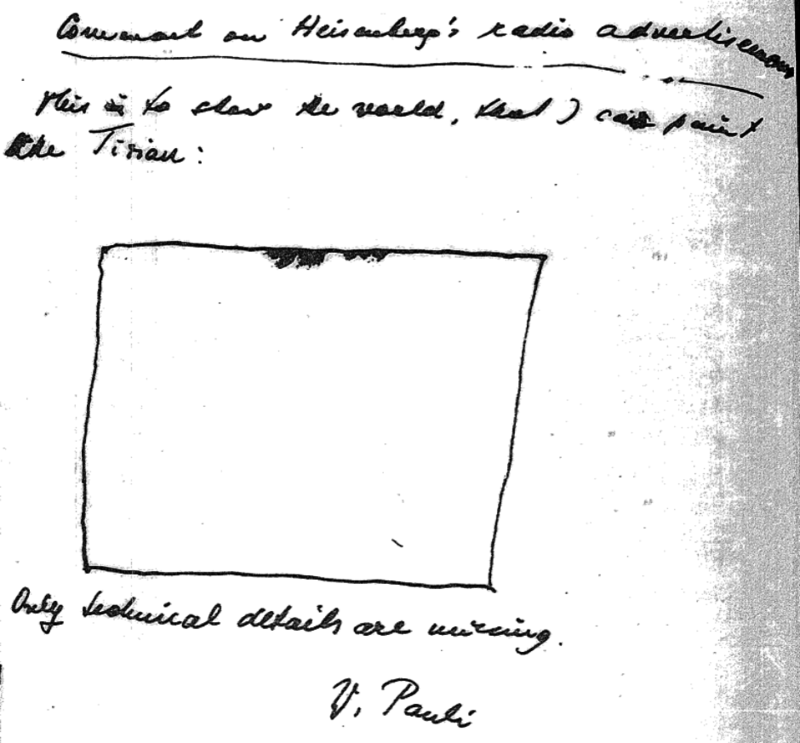 This abstract of a talk by Murray Bremner says that Block was the first to define the so-called “Virasoro algebra”, but in characteristic p, while Gelfand and Fuchs were the first to define it in characteristic 0 (the case physicists care about). Just read your post here? Wondering… why is Atiyah so prominent? I know he did some heavy-duty stuff on K-Theory and the like, but what exactly did he do with gauge theories that should make us want to take note and read his works in detail? By the way, his collected works on Gauge Theories (v. 5 of his Collected Works series) is well over $200; isn’t there some alternative way(s) to get hold of his works? Atiyah has done all sorts of interesting mathematics, but his greatest achievements have to do with the index theorem. The index theorem is a very deep unifying idea about mathematics, and one of the most important ideas of mathematics in the second half of the twentieth century. It links together topology, analysis, geometry and representation theory, all in a new and unexpected way. It’s very much worth learning this story, and probably the best place to do it is via Atiyah’s papers (both the expository ones and the more technical ones), since he is a masterful writer. 2. Complex twistor-space techniques for understanding instantons. 3. Yang-Mills theory in 2d. The physics is rather trivial, but the mathematics that has come out of this is amazing. 4. Equivariant cohomology techniques for calculating some simple but non-trivial path integrals exactly in terms of fixed point data. Slogan is that in these cases the stationary phase approximation is exact. 5. Understanding of the whole story of anomalies in terms of the index theorem. The crucial idea is that of applying the families index theorem to families of Dirac operators parametrized by background gauge fields. 6. The whole idea of topological quantum field theory. Besides giving an axiomatic version, Atiyah was the first one to suggest that there should be a 4d QFT with Hilbert space Floer homology and observables Donaldson invariants, as well as a 2d QFT with observables Gromov-Witten invariants. Witten later constructed these QFTs, with some prodding from Atiyah. Anyway, those are some of the high points. I’ve heard rumors of a cheap Chinese paperback edition of his collected works. Absent that, unless you’re well-off, this is what libraries are for.